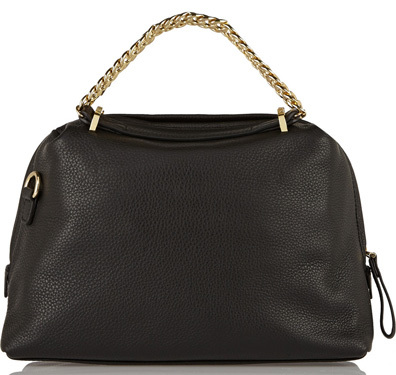 This chain handled bag pretty much sums up timeless elegance. *Get this price or 40% off(!) all sweaters at J.Crew and 30% off everything else--sale ends today. Get the code here and check back later today for a roundup of my favorites from the sale! That bag is an amazing find! And I love this casuals chic styling. LOVE that sweater. When I put the promo code in, though, the sweater is still $70...how are you able to get it for $51? Well, my husband thanks you for the wonderful Christmas gift idea! That purse is beautiful! Oops--sorry, you are right, it is $70. I fixed it. My bad math!